This is the 8th of twenty-one lessons for design students, gathered from the combined experience of being a student, and teaching students. I will published one lesson each weekday until they’re done. Complexity can be attractive. It’s easy to keep layering a project, adding idea after idea without order or hierarchy. It’s much harder to go in the other direction, distilling a project to its essential parts. The unessential has a habit of hanging around, clinging tenaciously to the edges of your core ingredients. Shedding those last few extraneous pieces requires dedication and the willingness to push harder than you thought possible. There are architects who design with complexity as the goal, favouring the multifaceted design voice over the singular. But I would argue that the designs that result aren’t truly complex at all, they’re just complicated. Complexity relates to the sophisticated ways in which a design interacts with the world. Complication is just noisy distraction, clutter. A simple wall can have all sorts of complex interactions with its context if you design it right: it can be a gathering point, a barrier, a boundary, an instrument of spatial control, a place to eat lunch, a prop for theatre, a tool for a game of downball. Complexity is not to be avoided, rather the secret of great design is achieving complexity from simplicity. There is no more perfect example of this philosophy than the game of chess: 64 black and white squares, six types of playing pieces, two players, white always goes first. You could write the rules for chess on the back of an envelope, but there are around novemtrigintillion different possible games. Spanish evolutionary biologist, Diego Rasskin-Gutman, puts it in a more meaningful way. He points out that there are more possible chess games than there are atoms in the universe. Don’t worry, I didn’t know what a a novemtrigintillion was before I started writing this article either. According to this source, It’s 10^120, or 1,000,000,000,000,000,000,000,000,000,000,000,000,000,000,000,000,000,000,000,000,000,000,000,000,000,000,000,000,000,000,000,000,000,000,000,000,000,000,000,000. 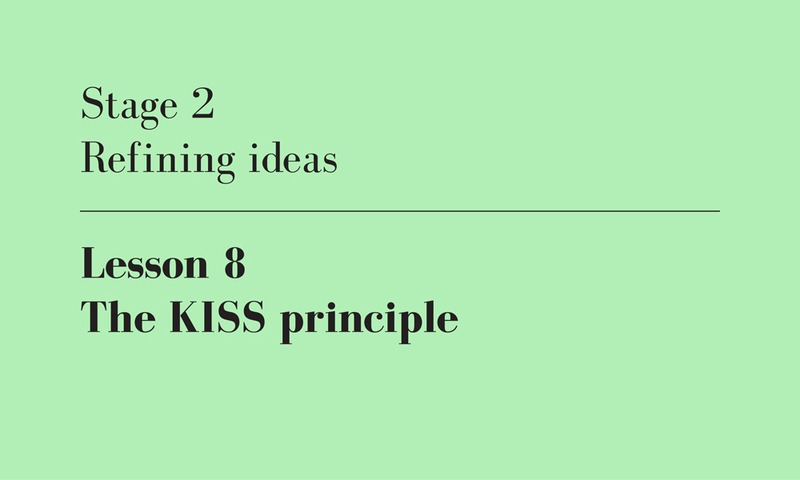 The KISS principle, author’s own image.